ALL REASONABLE OFFERS CONSIDERED! Ranch home close to the schools and gold course! 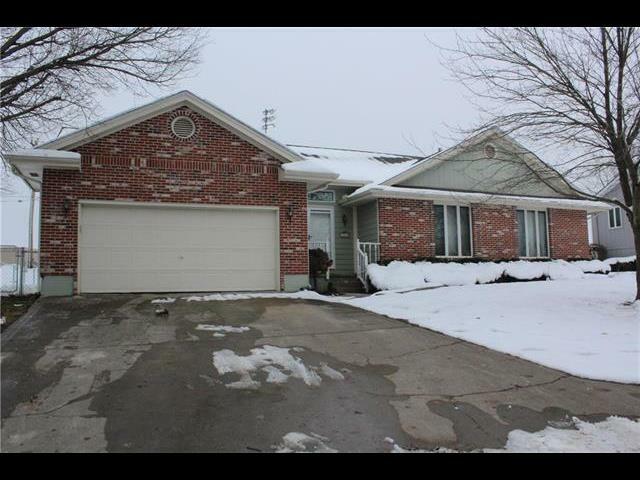 3 bedrooms/two baths on the main level, vaulted cei lings, and a wide open basement waiting for your own personal finish! The master bedroom features his and her closets and plenty of space to get ready! Basement is stubbed for an additional bathroom, and plenty of room for a recreational area, bedroom and still have space to spare! Storage is not an issue in this home and it also has a storm shelter or pantry storage.